Frilly and Funkie the challenge this week is “How Can You Resist”? 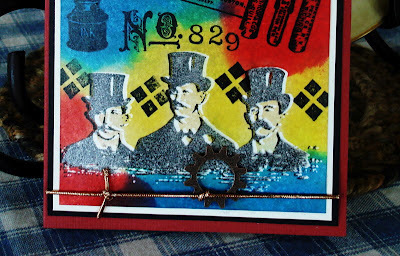 My card is basic clear embossing, then inked with distress inks, iron off the embossing power and I re-stamped the image of the three gentleman. I stamped them just off to the side so a white shadow would show. Stamps are from Stampers Anonymous and Crafty Secrets and Hero Arts. Frilly and Funkie and give this a try. 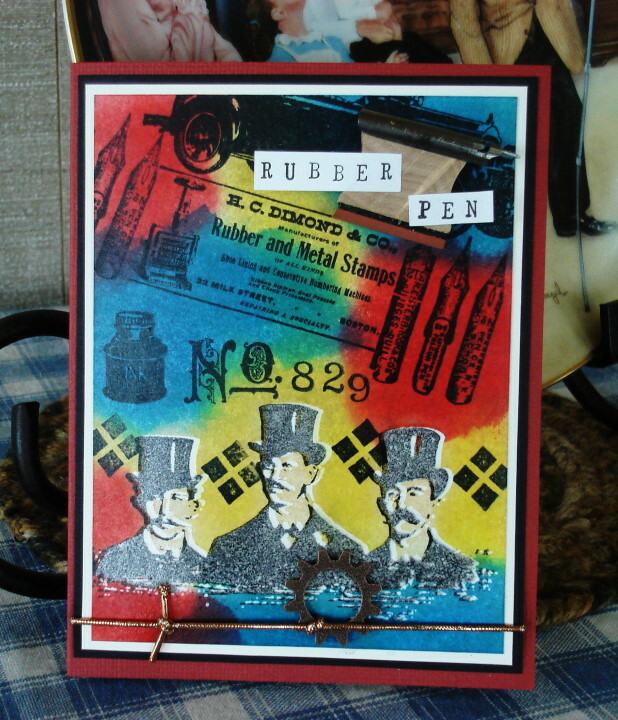 WOW Great stamping, love that true color look, brilliant effect! Vada, you have some amazing "resist" happening here! Love the vibrant colors and masculine images! 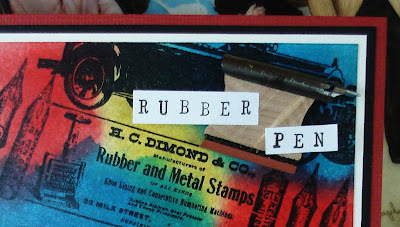 So cool how you offset the images, which reminds to take a picture of a quicky tag for my DD's boyfriend! Really close now! Thank you for joining us at Frilly and Funkie! Hugs! How gorgeous! 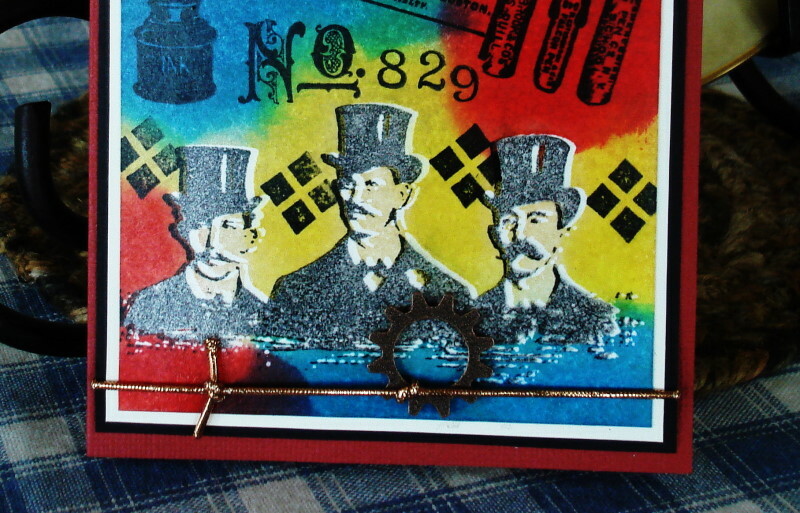 Love your vivid colors and the way you did the offset stamping.... great idea, with fabulous results!. Thanks for joining us at Frilly and Funkie, Vada! I like the brave use of colour for the background. The vintage men work fabulously well against that strong background. Fab fab fab color here! Love to see the gents surrounding by color! Great idea for the resist. Thank you for playing along with us at Frilly & Funkie this fortnight!!! FUN card, Vada--such vibrant colors!